With only one week left till its premiere, “Heartstrings,” starring CNBlue’s Jung Yong Hwa and Park Shin Hye, released three official posters. In the first poster, fans can see a new still of the new leads sitting back to back. 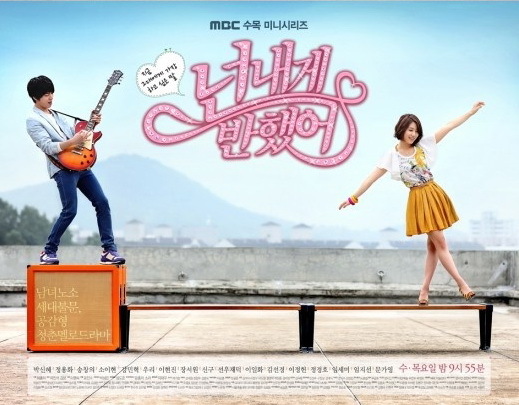 The second poster features Jung Yong Hwa and Park Shin Hye as the “guitarist and the butterfly.” Just like its other photos, the poster concepts reflect the light and airy feel of the drama. The third one show-casts eight of the drama’s lead and supporting actors dressed up in vivid colored shirts and white pants for a fresh and colorful theme, perfectly in line with the refreshing theme of the drama. 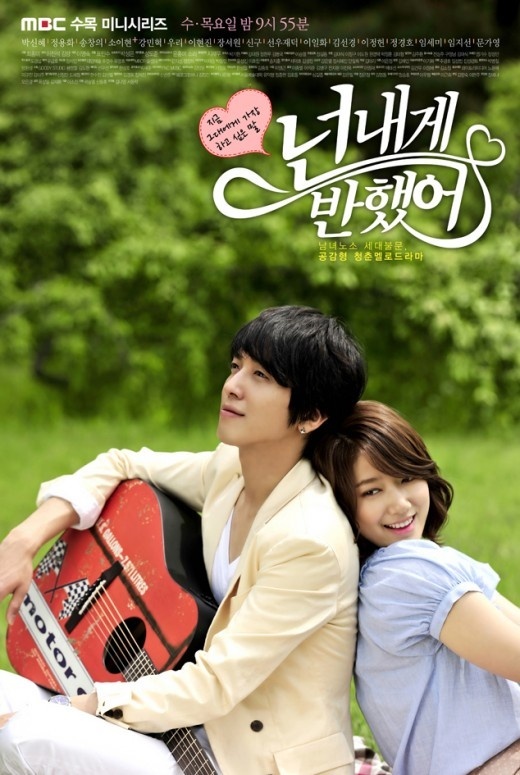 In the drama, Jung Yong Hwa plays Lee Shin, a snobby guitar prodigy whose life revolves around his band and guitar. Park Shin Hye stars as Lee Gyu Won, an energetic and full of life music student studying the gayageum, a traditional twelve-stringed Korean instrument. The two will share a bickering, yet cute romance as a college campus couple who share a passion for music and love.